Bamboo Lodge, Cuyabeno Wildlife Reserve, Ecuador * A Cuyabeno lodge in the amazing amazon rainforest! A small Cuyabeno Lodge with a big heart for the amazon! Amazon Tours Ecuador ・ A life time adventure! The Cuyabeno Lodge with real Amazon passion! Amazon Tours Ecuador ・A life time adventure! Cuyabeno Tours Ecuador ・Do you want to jump into this Lagoon? Bamboo Lodge is a small Cuyabeno Lodge with a big heart for the amazon rainforest and a real passion for the magical Cuyabeno Wildlife Reserve, Ecuador. We are an Ecuadorian and German management with an excellent passioned & experienced crew and we have the pleasure to work in one of the most beautiful areas of the amazon basin, in the heart of the Cuyabeno Wildlife Reserve in Ecuador. We only accommodate up to 20 guests at the same time, so we can insure excellent personal services and an unforgettable amazon rainforest experience for our guests. Our Amazon tours are guided by knowledgeable, bilingual (English, Spanish) naturalist guides and supported by a great lodge crew. 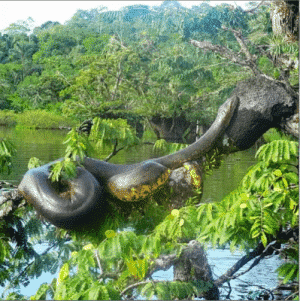 Visit the amazon rainforest in Ecuador! Get to know the magical Cuyabeno Wildlife Reserve with Bamboo Lodge and have the amazon adventure of your life time! 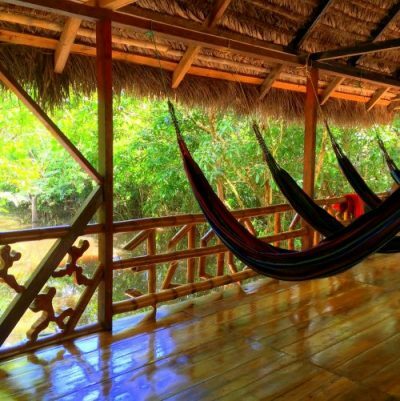 Bamboo Lodge * A small Cuyabeno Lodge with a real passion for the amazon rainforest! Cuyabeno – you will love it!! If you have little time you can come for a short trip of 3 days and 2 nights to visit Cuyabeno with Bamboo Lodge. You will still have enough time for wildlife spotting, a amazon jungle hike, swimming in the lagoon, a night walk & caiman spotting. The Bamboo Amazon tour is the favorit tour of our travelers. 4 or 5 days to get the most out of your time in the Cuyabeno Wildlife Reserve. A perfect mix of wildlife spotting, jungle exploration & getting to know amazon culture of the Siona. If you want more action, the adventure exploration will be perfect for you! 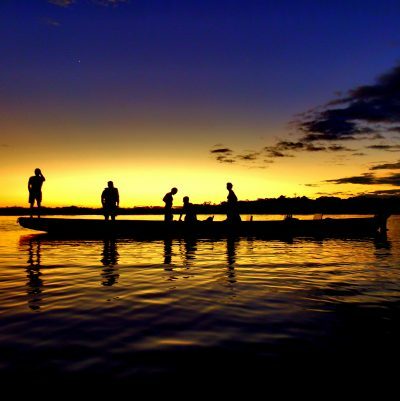 You will get to know two parts of the amazon, the Cuyabeno Reserve and the Aguarico river. This tour is not available at he moment. Visit Bamboo Lodge with your whole family! Children are our favorit guests:) as it is difficult sometimes, to keep up with a group if you have small children, we offer a family tour with a private guide so you are more flexible. If you have special wishes (like birdwatches etc.) or you simply don’t like group activities, we offer a private tour only for you and your travel partner(s). Of course a bit more expensive, but in exchange you will have 100% flexibility. Soon we will offer more destinations, like Galapagos, Cotopaxi. Until everything is online, if we can help you with any further planification of your Ecuador trip, just ask us.